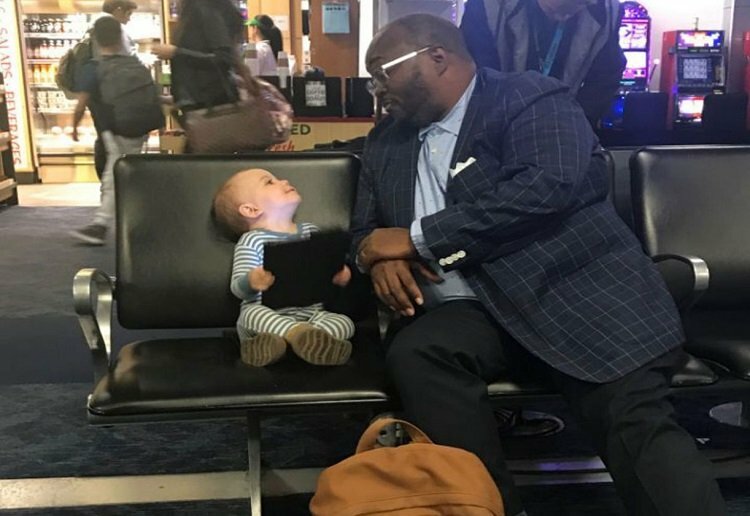 Dad praises a stranger who sat with his little girl at the airport with cute pictures of the pair now going viral. Dad Kevin Armentrout was at McCarran International Airport in Las Vegas on Saturday with his wife and 16-month-old daughter Carter Jean. As they waited for their flight, Mr Armentrout shared that his little girl was being “her usual inquisitive self” greeting everyone until she walked up to one man in particular. “He reached out and asked if she wanted to sit with him. He pulled out his tablet and showed her how to draw with it, they watched cartoons together and she offered him snacks,” Mr Armentrout wrote. “This wasn’t a short little exchange – this was 45 minutes. The man, later identified as Joseph Wright from Oklahoma, is seen showing Carter Jean how to use the tablet. Mr Armentrout told Yahoo Lifestyle he initially tried to pull his daughter away after she walked up to Mr Wright, concerned about his personal space. The post has since received over 19,000 comments and more than 140,000 people have shared it. We need to see more of this! So adorable. Very sweet! It’s not often that people particularly men will engage with little ones like that for fear of being labelled a predator.its lovely to see that not everyone is quick to judge. Just beautiful. So pleased that this parent allowed this exchange to take place, rather than being afraid that his intentions were not as pure as they were. Beautiful things can happen when we let them. This is so beautiful. She doesn’t care who he is or what he does. She just accepts him for who he is. Such a wonderful man to spend time with her on his tablet. It’s nice when a stranger shows a bit of kindness. This is a beautiful story. It was good that the little girl’s Dad was prepared to make sure the guy had privacy if he desired it. This is so wonderful. At a time when we often don’t let our kids go off on their own or talk to strangers it’s a reminder that we’re all people. 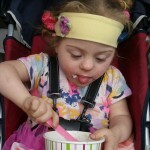 My youngest has Down Syndrome and doesn’t hesitate to go up to people, grab an arm or leg and give a cuddle. I never limit her and just watch how people respond, which most of the time is positive. Too cute!! 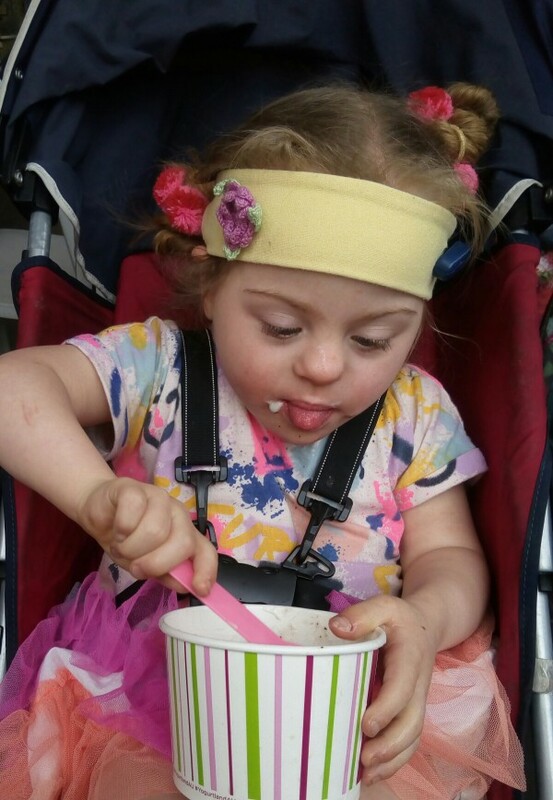 I love chatting with little ones! Aww what a wonderful story!